Your policy may not have started out with Utmost Life and Pensions, find out about why we have it. As our customer, your policy is now with Utmost Life and Pensions. That’s because on 4 March 2019, we re-branded to Utmost Life and Pensions from our former name, Reliance Life. Rest assured, as homes for policies go, it’s a pretty good one. We have a strong history of taking customers from elsewhere into our care. We’re trusted guardians of policies originally taken out with over 50 insurance companies, stretching back for over 100 years. As well as offering all that longstanding experience in serving life and pensions customers, we also enjoy increased financial stability as part the Utmost Group of Companies. Wondering if your policy is with us? You may have a policy taken out elsewhere that is now with Utmost Life and Pensions. We’ll do our utmost to help you discover if that’s the case. Under our History and facts section we’ve provided a handy time line for key events, and an alphabetical search facility just in case you’ve come across a policy document, and you’re trying to find out if the company named on the paperwork is now part of Utmost Life and Pensions. What has changed with the re-brand? The re-brand and name change is the latest milestone in our journey to become part of the Utmost Group of Companies, creating greater group strength and synergy with the flexibility of the individual companies. The Utmost Group of Companies will continue to search for additional blocks of insurance business to add to the companies under the Utmost umbrella. Since June 2018, you may have read in the press that we’ve reached an agreement to take over Equitable Life’s life and pensions business. The coming months will be a very exciting time for us as we transition and prepare to welcome Equitable Life customers, if the proposal goes ahead. 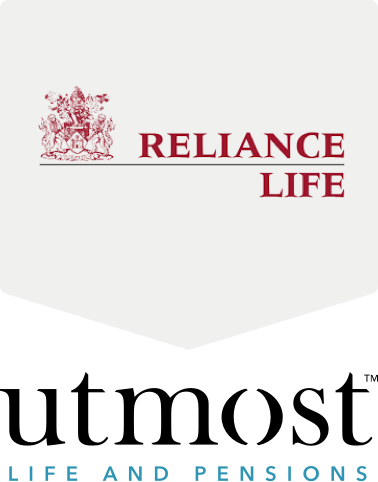 As you may have seen from announcements in the press, in June 2018 Reliance Life (now Utmost Life and Pensions) announced that it had reached an agreement to take over Equitable Life’s life and pensions business. Equitable Life’s policyholders will be asked to vote on this proposal before it can go ahead. This is an important step for Utmost Life and Pensions in growing the company and its customers, allowing us to continue to focus on providing outstanding customer service and support. We are confident that we can deliver tangible improvements in customer service for both our existing customers, and transferring Equitable Life customers. For those Equitable Life customers moving into unit linked funds, full details of the investment fund choices will be available in due course, together with information about help and guidance. Equitable Life customers will continue to receive outstanding customer service and support by contacting the same team in Aylesbury, and on the same telephone number. The business transfer, like all previous Part VII transfers, requires us to apply to the High Court for permission to transfer the business of Equitable Life to Utmost Life and Pensions. The High Court will only give permission if it is satisfied that the transfer is in the interests of both Equitable Life customers and existing Utmost Life and Pensions customers. We’ll provide information about the transfer in due course.